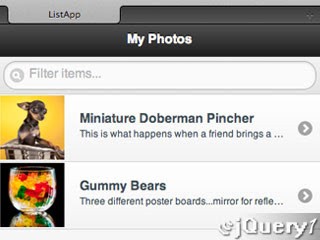 Are you starting to work with jQuery Mobile -the most popular framework for building mobile web apps. 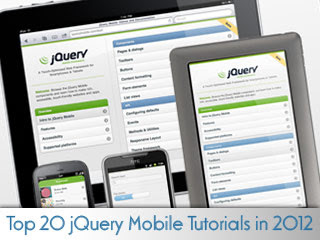 check out this list of top jQuery Mobile tutorials in 2012. 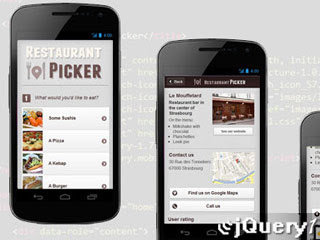 How to build a jQuery Mobile app for choosing a restaurant based on what the user want to eat tonight, the town where they want to eat and other user’s ratings of the restaurants. For larger data-focused sites, or sites that are "almost applications" you will want to consider a custom mobile version of your site. 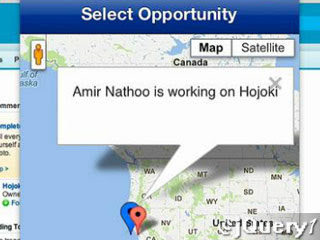 This is often done with the help of a mobile framework like jQuery Mobile. jQuery Mobile isn’t just a scripting library, but an entire framework to build upon and produce efficient mobile templates. Thus, the process of constructing a mobile template from scratch has been significantly improved. 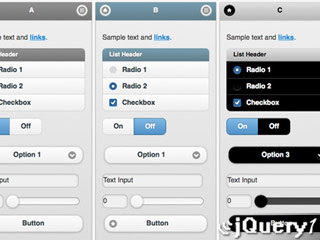 The basic techniques for creating the pages of a mobile website, That will include the use of dialog boxes, buttons, and navigation bars. 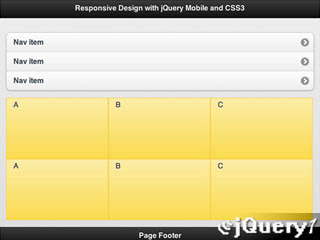 Collection of video tutorials to help you learn jQuery Mobile and all the possibilities. After working with JQM in a corporate and small business settings, these are some of the lessons I've learned. If you take these to heart, hopefully I can save you some of the same headaches. 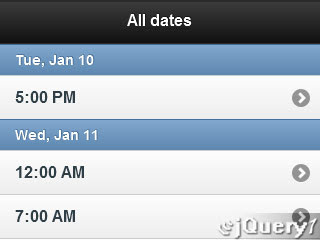 Detailed descriptions and demos to explain what's new and improved in the jQuery Mobile 1.1 mobile web framework. Tiggzi is a cloud-based mobile app builder. 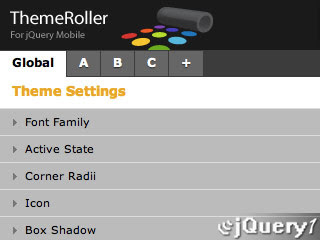 It comes with a very powerful and easy to use visual, drag-and-drop builder for HTML5 and jQuery Mobile. ASP.NET MVC 4 beta offers enhanced mobile support through the introduction of new APIs. 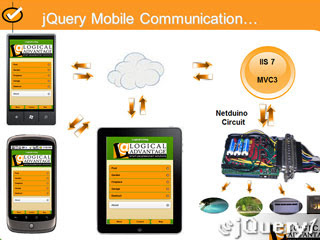 In this article, we will explore how jQuery.Mobile.MVC package, that is a part of MVC4, leverages jQuery.mobile and HTML5 to create targeted views for each device. 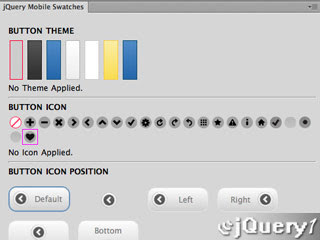 How to use Adobe Fireworks CS6 to create custom jQuery mobile skins and use them in mobile websites based. 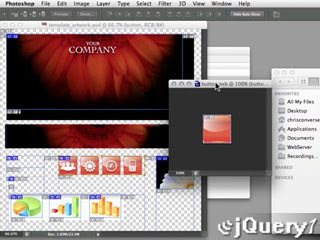 Adobe Dreamweaver CS6 features a streamlined workflow for creating a jQuery Mobile project. 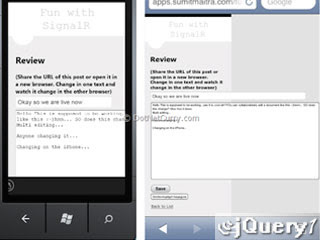 So, in this article, you will create a simple Mobile application with Dreamweaver CS6. 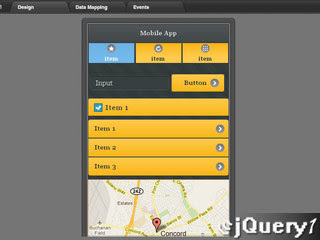 This article is great for anybody learning jQuery Mobile or building mobile applications with MVC3. 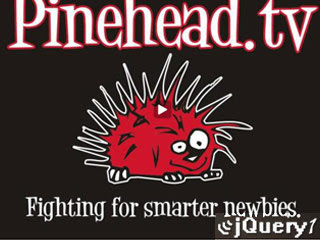 I built a remote control for my phone to control a squirt gun for my pool, open my garage door, water the garden and control for my gas fireplace using jQuery Mobile with MVC and a Netduino. An excerpt from jQuery Mobile Web Development Essentials, on the basics of theming and building a custom theme for your app. A short tutorial to show you how easy it is to create a list based app with the jQuery Mobile framework and hopefully encourage you to give it a try. How to build a mobile app for Salesforce Chatter using Trigger.io and the Force.com APIs with mobile features such as push notifications, geolocation and camera. 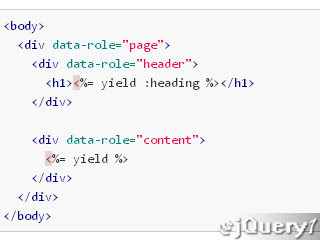 Highlighting then smoothing over the rough edges of the integration between jQuery Mobile and Rails. 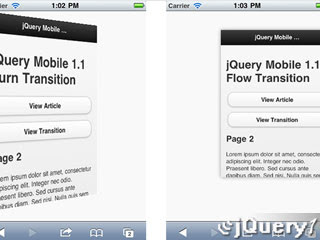 On its own, jQuery Mobile is a great for creating mobile website. When paired with CSS3, it becomes possible to create web page layouts that respond to device screen resolution. 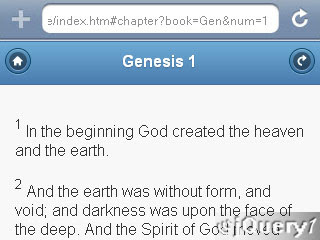 How to create a Bible viewer as an example of loading content from XML and dynamically generating pages with jQuery Mobile. Book excerpt from "jQuery: Novice to Ninja", 2nd edition.